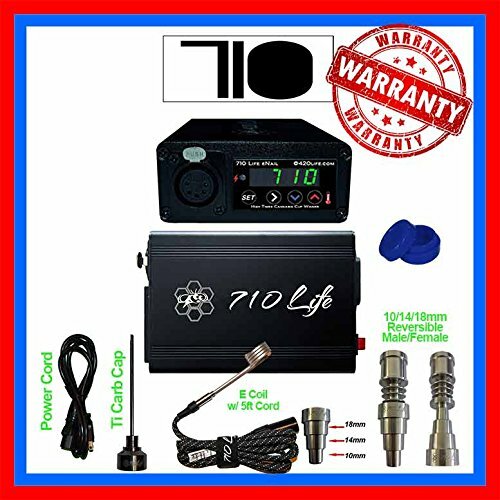 710 Life Aromatherapy Diffuser #1 RATED !! WE DONATE TO ST. JUDE'S MEDICAL CENTER FOR CHILDREN CANCER RESEARCH! The benefits of aromatherapy is been proven by science now you too can own the only AC Powered eNail to win an award for Best Product the CUP WINNER! for a great price!! ALL BRANDS ARE NOT CREATED EQUAL, have comfort in buying a unit direct from us the manufacturer, get quality support you deserve, and replacement parts are available so it can be a long term purchase rather than a cheap experience that breaks fast! OUR PRODUCT WILL LAST AND LAST AND LAST! also available are these 4 different aromatherapy oils. Please check them out also http://www.amazon.com/dp/B00ZIGVGH2 Lavender (night time, peace) http://www.amazon.com/dp/B013PWI70Y Lavender (night time, peace) http://www.amazon.com/dp/B0019LWW9Q Grapefruit (morning, energy) http://www.amazon.com/dp/B000W3V9HI Orange Oil (Clarity) Cautions: When not in use, you should store your device in a safe place to avoid accidental activation. You should not leave your unit unattended or on or unattended in a hot area or near flammable objects as this could be a fire hazard. You should keep your eNail away from water or any other liquid or flammables and away from any environment involving strong acids, alkaline or combustible material. WE CARRY REPLACEMENT PARTS FOR OUR ENAIL when shopping for an eNail make sure you can find replacement coils when its time to replace them, other brands only sell the kits no replacement parts, THIS IS IMPORTANT FOR LONG TERM CARE AND USE. If you have any questions about this product by BIGWALL, contact us by completing and submitting the form below. If you are looking for a specif part number, please include it with your message.